Imagine Chuck Palahniuk and Don Winslow’s love child—and that would be ribald author Johnny Shaw. 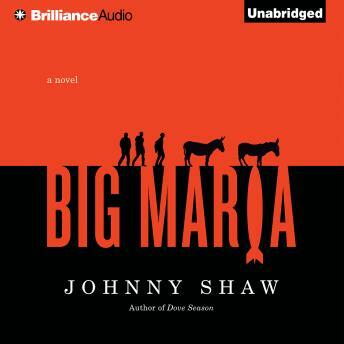 His novel Big Maria is an unfiltered, wild romp in which three men get one chance to find a lost gold mine; the only problem is the Big Maria Mine is right in the middle of a US Army artillery range. Unfortunately a meth-dealing biker wants a piece, a trigger-happy AWOL soldier wants to play chicken in a live minefield, two stubborn burros want to go home, a starving mountain lion wants his dinner, and the US Army wants to rain on our heroes’ parade with real bombs. When you’re all out of crazy ideas, you’ve got to try the stupid ones.